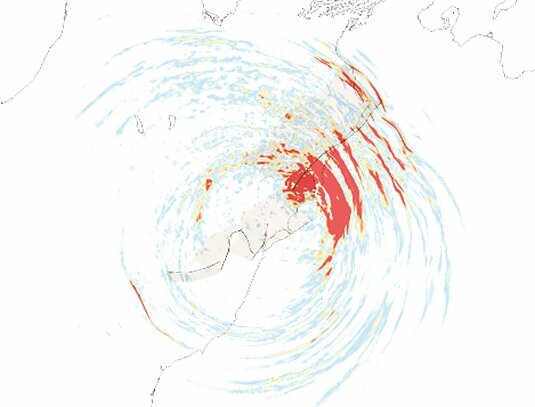 The 2016 Kaikoura earthquake (magnitude 7.8) on the South Island of New Zealand is among the most intriguing and best-documented seismic events anywhere in the world – and one of the most complex. The earthquake exhibited a number of unusual features, and the underlying geophysical processes have since been the subject of controversy. LMU geophysicists Thomas Ulrich and Dr. Alice-Agnes Gabriel, in cooperation with researchers based at the Université Côte d'Azur in Valbonne and at Hong Kong Polytechnic University, have now simulated the course of the earthquake with an unprecedented degree of realism. Their model, which was run on the Bavarian Academy of Science's supercomputer SuperMUC at the Leibniz Computing Center (LRZ) in Munich, elucidates dynamic reasons for such uncommon multi-segment earthquake. This is an important step towards improving the accuracy of earthquake hazard assessments in other parts of the world. Their findings appear in the online journal Nature Communications.